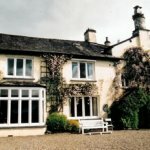 Many of the historic homes & gardens in the Lake District were once inhabited by some of the Lake District’s famous residents, such as the English Romantic poet, William Wordsworth, with many now being maintained by the National Trust. 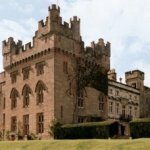 These stately homes and gardens offer the opportunity for the public to tour the impressive grounds with acres of elaborately landscaped gardens and ornate architecture to uncover. Rydal Mount is a delightful historic house where William Wordsworth lived for over thirty years. Today visitors can view some of Wordsworth’s personal possessions and explore his bedroom and study, along with several other rooms in the house. Outside there are large gardens that Wordsworth designed and which provided much inspiration for his work. Whilst here you could include a visit to the adjacent National Trust owned Dora’s Field, a small patch of land brimming with daffodils in the spring. 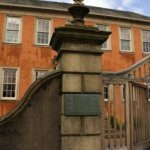 See where esteemed poet William Wordsworth was born and spent the first few years of his life at the Wordsworth House and Garden. This National Trust property is presented as it would have been during Wordsworth’s occupancy with daily demonstrations and talks on life in Georgian England. In the basement, you’ll find a modern exhibition about the 2009 floods and there is a lovely garden to explore. 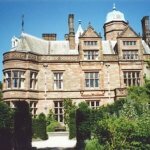 Tucked away at the foot of Dodd fell close to the shore of Lake Bassenthwaite, Mirehouse and its whimsical gardens are another Lake District hidden gem. Still occupied by the owners, only part of the house is open at limited times, but the gardens, with their adventure playgrounds, manicured lawns, and woodland where Tennyson wrote his Morte D’Arthur, provide a haven for all ages. 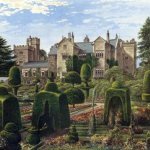 Levens Hall is a beautiful stately home south of Kendal with a wonderful collection of artwork, furniture, and other items of historic interest. Outside there are ten-acres of gardens with topiary characters, a rose garden, vegetable and herb gardens, fountains, a children’s play area, and plenty more to see. The Bellingham Buttery is a delightful spot to enjoy a cake, whilst The Potting Shed Shop sells a number of gifts, preserves, and household items. Surrounded by the woodlands of Inglewood Forest, where legend states that King Arthur once slayed a vicious boar, Hutton-In-The-Forest has stood proudly since the Medieval period. A mixture of architectural styles can be seen throughout this privately owned stately home that has experienced several expansions over the centuries, whilst the elaborate gardens provide pleasant walks and are host to numerous events during the summer. Home to the same family for over 400 years, this spectacular and grand country residence has beautiful award winning gardens and a large section of the property open to the public. You can view exquisite furnishings and works of art in the house, whilst in the gardens you can explore 25-acres of carefully designed landscapes. There is a food hall stocking a range of specialist and local produce, restaurant, café, gift shop, and adventure playground. 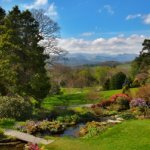 Situated on the edge of the town of Windermere offering extraordinary views of the surrounding landscapes, Holehird Gardens is a unique project open to the public. Maintained by a team of volunteers from the Lakeland Horticultural Society, visitors are welcome to take a leisurely stroll through the grounds with only a donation made towards the upkeep of the gardens being requested for admission. 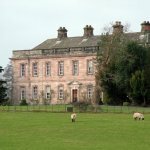 An impressive Georgian façade hides a building that actually dates back to the 12th century at Dalemain. This beautiful stately home and garden is very much a private family home that is open to the public to explore. 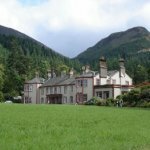 As well as the home and gardens, Dalemain features regular events throughout the year, including its popular Marmalade Awards, and is located between Penrith and Ullswater. 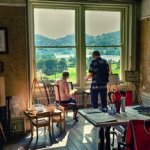 Once home to William Wordsworth and later Canon Hardwicke Rawnsley and now a National Trust site, Allan Bank in Grasmere has only been open to the public since 2012. Currently a blank canvas, the house has been stripped back with minimum furnishings but there are plenty of relaxing activities available throughout and its spot overlooking Grasmere is a perfect place for a picnic on a warm summer’s day.